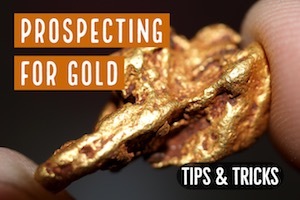 Montana is one of the best states in the US to prospect for gold. It has a significant mining history that dates back to the days of Custer’s Last Stand, where a battle broke out over gold-bearing land that was considered sacred by the native Indians there. Although the battle was lost, the war was eventually won, and thousands of prospectors flooded into Montana in search of gold. Montana is called the “Treasure State” for good reason. 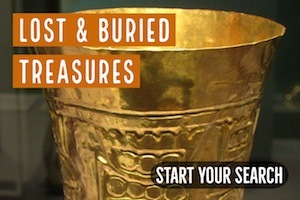 Millions of dollars in gold and precious metals have been mined in Montana since the early gold discoveries here. Nearly all of Montana’s profitable gold areas are located in the mountainous sections, primarily in the western 1/3rd of the states. The largest quantities of gold found today come from large-scale copper mining operations around the mining town of Butte and the surrounding area. Copper is the primary metal that is mined here, yet millions of dollars in gold is produced as a by-product. However, during the early gold rush to Montana, it was the placer deposits that were first exploited and mined by the prospectors. Ground sluicing, hydraulic methods, and eventually bucket dredges were used to extract placer gold from hundreds of miles of creeks and rivers throughout Montana. Evidence of these past mining operations can still be seen today, and these areas will still produce gold. 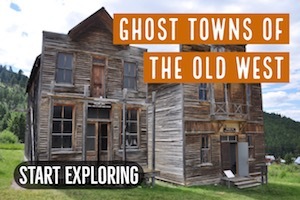 The Bannack Mining District in Beaverhead County is an exceptionally rich location that has produced millions in gold. 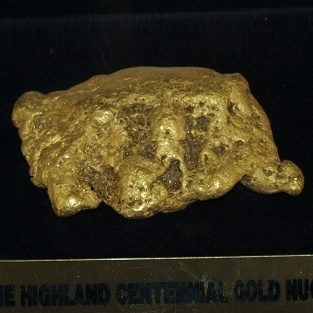 Grasshopper Creek was the location that was first mined and produced an abundance of gold. Many tributaries were also worked by a variety of mining methods and were also quite rich. The diggings at Grasshopper Creek did not disappoint. Placer deposits were worked in the creek itself, and along bench deposits elevated about 100 feet above the present day creek. There is now a state park located here. 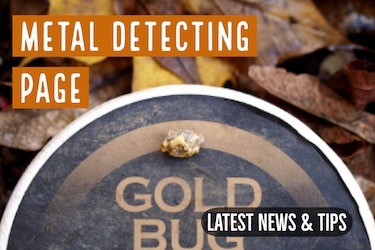 One of Montana’s largest gold nuggets was found south of Butte. It currently resides at Montana Tech and is on public display. Many other rich discoveries were found throughout Beaverhead County, and the Bannack Mining District was formed. Another notable area was the Argenta district around Rattlesnake Creek. 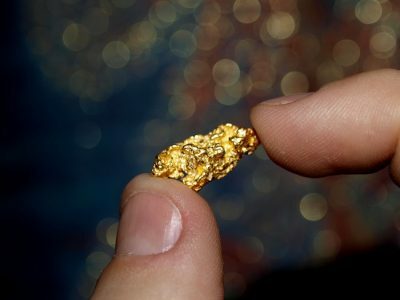 Broadwater County is also exceptionally rich and still produces good gold, including some nice gold nuggets. Confederate Gulch was the best area in the county, and one of the richest in Montana also. 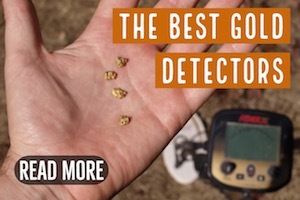 Most of the production here has come from placers, and some nice gold nuggets can be found all throughout Broadwater County by prospectors using metal detectors. Granite County has some good mining areas as well. The Garnet, Combination, South Boulder, and Philipsburg Mining Districts are all located in the areas around Missoula and Anaconda and were quite rich. In the Garnet district, Bear Creek and its tributaries very rich and were worked for many years. Miners recovered significant gold from the placers here, and later from lode sources found above the drainages. Prickly Pear Creek is located in Jefferson County and was mined. 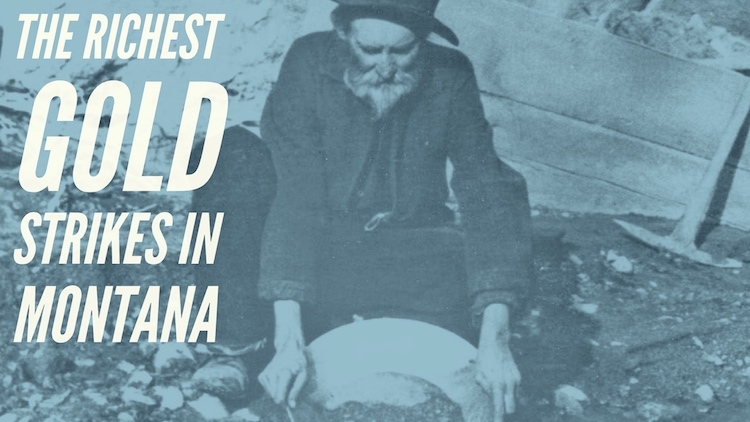 From Jefferson City to East Helena, extensive placer mining took place and recovered exceptional amounts of gold. Many areas around the state capitol of Helena are exceptionally rich. In fact, Helena was an early gold mining town that grew quickly due to the richness of the surrounding area. The town itself is built on some exceptionally rich ground and there are undoubtedly some nice gold nuggets buried beneath the roads and building of the town. 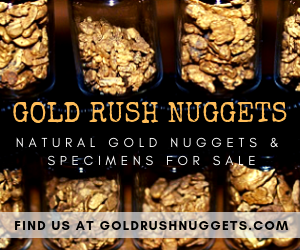 Northeast of Hauser Lake, gold can be found in nearly all of the creeks and gulches. This area was mined hard for many years and people are still finding gold here. Madison County may be the best known area in Montana, with the famous Virginia City/Alder Gulch area. This district has been mined extensively and good gold can still be recovered here. Evidence of bucket line dredging and hydraulic mining is clearly evident in many areas. Montana still holds excellent potential for gold miners. Researching the old mining districts and prospecting the creeks, rivers, and gulches that were worked by the old-timers will still produce gold. Many miners are successfully recovering exceptional amounts of gold in Montana even today.